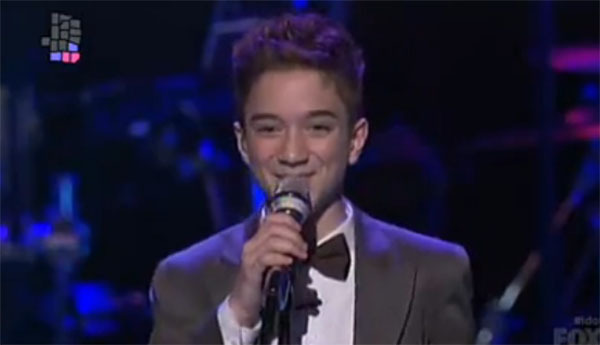 Daniel Seavey performed his version of ‘How Sweet It Is’ by Marvin Gaye on American Idol Season 14 Top 8 Guys Motown performance night on Wednesday, March 4, 2015. Here’s what the judges have to say about his number tonight. “That was a good song for you to do, just keep doing this. Just don’t be so stuck in the low key melody,” said Keith Urban. “I feel like you’re so talented and it’s nice to se you getting relaxed up there. You’re gonna be a favorite around here,” Jennifer Lopez. “We all know you are extremely talented, adorable and cute but you really need to feel the beat and what they are doing,” said Harry. Watch his performance on the video below! One moment please.. video uploading!